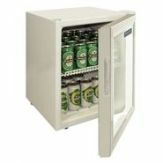 Glass door display fridges have multiple applications in a commercial catering environment - as the name suggests they're perfect for showcasing products to customers and so are generally used front of house, either behind a bar or serving counter, or out on the shop floor as a self service cabinet for cold drinks or packaged snacks. On the other hand, being able to see what is in a fridge as a member of staff approaches can speed things up a lot back of house too. 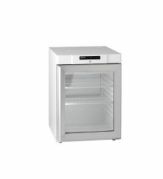 Choose from undercounter, counter top or upright glass door fridges to suit your particular display requirements, or from more specialist glass door rotating displays or pharmacy fridges.